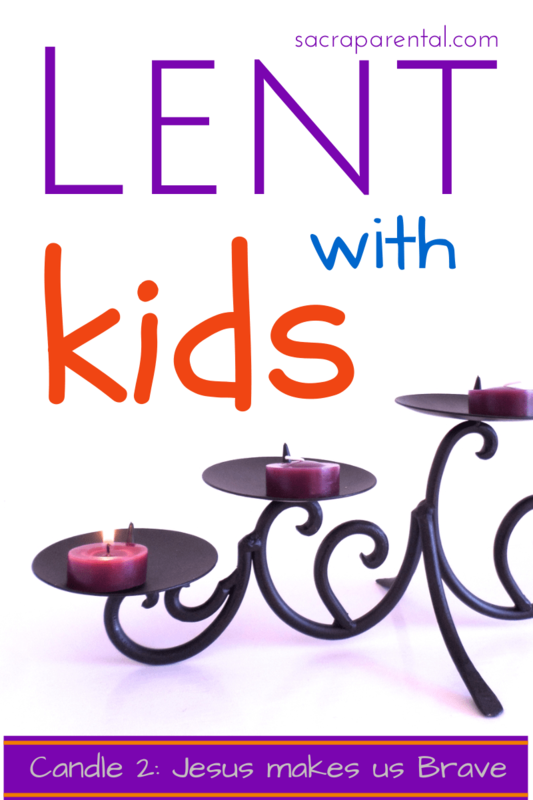 This is an all-in-one post for Week 2 of our Lent with Kids plan. To fill in some background, start here. You can also see the series index here. Week 1 of Lent is almost done, and Sunday is a-comin’! I’m experimenting this week with just one post with everything we need for the week. Let me know if it works for you, or if there’s anything missing. Bible reading: Jesus’ transfiguration (Matthew 17, Mark 9, Luke 9). You might like to act it out together so everyone gets the idea of who was involved and what they were doing. Spiritual Practice: Focus on thoughtfully practising wise and brave choices throughout the week. Talk at mealtimes about how sometimes you need to be brave to do something kind. When today did someone need to be brave and kind? Prayer: pray about and for wisdom and bravery together at mealtimes. You might also like this Lenten prayer by Dietrich Bonhoeffer. Raphael’s ‘Transfiguration’: you could ask which figures in the painting each person finds most interesting/most identifies with. Art and craft: Read the story and respond to it with art and craft. Draw or paint a picture of what happens in the story, or of how you feel when you hear it. Assign a different colour to each scene in the story – how do the colours change as the story progresses? For more art and craft ideas, check out my Pinterest Lent board. Movies: Brave! (I haven’t seen it, but I feel confident that it’s relevant ) Do you have other recommendations to share? See the comments below for other people’s recs.I think social bravery is the biggest challenge for most kids – how to summon up the courage to do something kind, like befriend a lonely kid or stand up to a bully – that might lose you social capital.Here’s a list of movies featuring bullies that could be worth watching and discussing with your kids. Games: What’s a game or physical activity you could do together that takes a bit of bravery? Swimming in the ocean? Climbing a tree? Going higher on the jungle-gym than usual? Do you have any indoor game ideas to share? Youtube clip: Watch this before showing your (older) kids, as the scenes showing the consequences of bullying are disturbing, but then it turns to solutions. If you think it’s appropriate for your kids, this could be a good conversation starter about what goes on in their world and how they can make it better. Peter answered, “The Messiah of God.” Jesus then warned them to keep it quiet. They were to tell no one what Peter had said. 28-31 About eight days after saying this, he climbed the mountain to pray, taking Peter, John, and James along. While he was in prayer, the appearance of his face changed and his clothes became blinding white. At once two men were there talking with him. They turned out to be Moses and Elijah—and what a glorious appearance they made! They talked over his exodus, the one Jesus was about to complete in Jerusalem. 32-33 Meanwhile, Peter and those with him were slumped over in sleep. When they came to, rubbing their eyes, they saw Jesus in his glory and the two men standing with him. When Moses and Elijah had left, Peter said to Jesus, “Master, this is a great moment! Let’s build three memorials: one for you, one for Moses, and one for Elijah.” He blurted this out without thinking. 36 When the sound of the voice died away, they saw Jesus there alone. They were speechless. And they continued speechless, said not one thing to anyone during those days of what they had seen. The second Sunday of Lent, the story of the Transfiguration and Jesus’ appearance with the prophets Elijah and Moses, assures us that this life is not the end, yes, but more than that – that this life requires of us the courage of the prophets for truth, for principle. Eternity breaks in on the present in this story. Jesus and his disciples talk about the future – near and far – and Jesus and his comforting, en-‘courage’-ing companions, Elijah and Moses, discuss how Jesus’ time in Israel is going to come to an end. This is scary stuff. What do you or your kids think they said to each other? The voice of God and the presence of Elijah and Moses tells us that Jesus is not limited to the here and now, and that if we ally with Jesus, we need not be either. All of the resources of eternity are available for our here and now. And we’ll need them. Jesus paints a picture of great difficulty and challenge for his followers. There’s no promise of health, wealth and comfort for people who trust and follow Jesus. But we can count on Jesus to give us bravery and company. Just as God and the prophets show up to support Jesus, God and the prophets can make us brave. The Holy Spirit gives us access to the eternal God. The examples of the prophets, throughout the stories of the Old Testament, show us that God is on the side of the truth-seeker, the justice-bringer, the peace-maker. We are both called and empowered to do hard things to make the world better. What are the hard things your kids face? What do they need from Jesus to face them? How might this week’s reading help? Who do you know who is brave? What are they like? Can you think of brave people whose stories are in the Bible? What stops people being brave? Tell us about a time you were brave. What did you do? How did you feel? How did other people feel? Is there a difference between being physically brave (eg, climbing a tall tree) and socially brave (eg, standing up for someone who’s being picked on)? How can Jesus help with either of those? 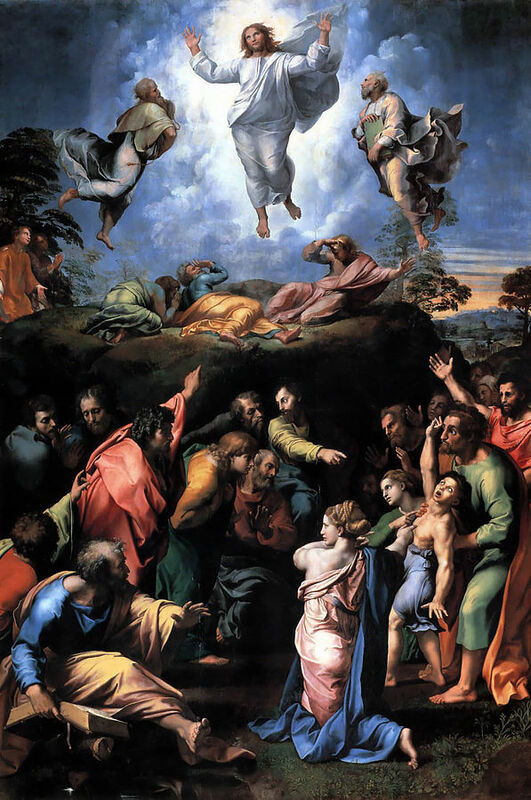 How do you think you would have felt if you were with the disciples that night (of the transfiguration)? What would you remember most about it later on? What would the world be like if everyone were able to be very brave? I’ve been hearing some encouraging things offline about how things are going. I’d love to hear online too, so everyone can hear! Please do leave a comment to tell us what’s going well and what else you’d find helpful. This is part of our Lent with Kids series that will take us up to Easter. For some background, start here. You can also see the series index here. There are plenty of ways to join the conversation and keep in the loop. You can get emails whenever there’s a new post here by signing up at the top of the right-hand sidebar, and also follow me on Facebook, Pinterest and Twitter. Can you also think of any clips or movies that are about standing up for someone else, esp against a bully etc? We are lighting candles here. As I suspected my 2 year old expected cake and presents to come with candle lighting. After 10 days though she can tell you ‘Jesus is wi(se)’. We have also watched a couple of You tube clips of Jesus temptation. It is great to have such a selection of resources in one place! Oh Anna! This warms my little heart! So cool. Well done, you guys!